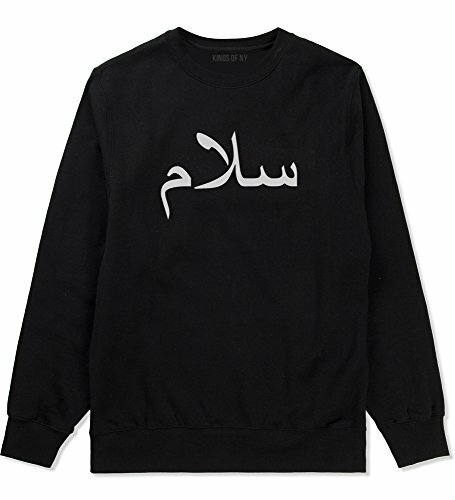 This is our Arabic Peace Salam Mens Crewneck Sweatshirt. This sweatshirt is made of 50% cotton and 50% poly. All our sweatshirts are under our brand and store Kings Of NY and are printed and shipped in the USA. Crewneck Sweatshirt made with 50% cotton and 50% poly.